ALPHA INTERNATIONAL DRILLING COMPANY S.A.R.L. NOBLE HOLDING NCS 2 S.A.R.L. PROSPECTOR RIG 1 OWNING COMPANY S.A.R.I. 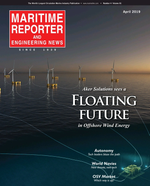 SAIPEM MARITIME ASSET MANAGEMENT LUXEMBOURG S.A.R.L.